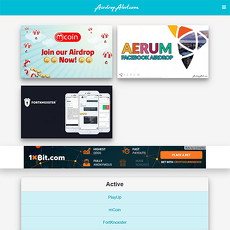 Air drop alert seems to be your average run of the mill air drop alerting platform. 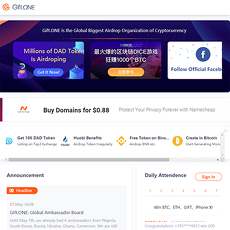 Upon entering the website you’ll immediately see lists containing active, upcoming, and past air drops and then a plea to join their mailing list. 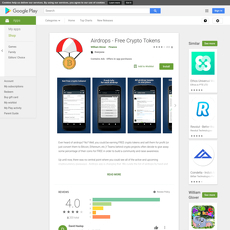 There is also some helpful information at the bottom aimed at teaching readers all about what a crypto air drop is. 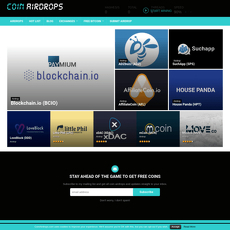 This platform seems to have a well updated YouTube channels and other social media outlets as well detailing air drops and describing projects. Aside from this, the website is fairly simple and straight forward. 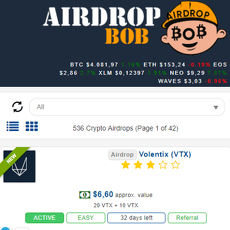 Nothing substantially special about but if you’re looking to find information on airdrops, this may be a good place to start. 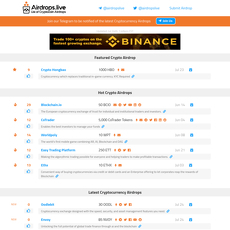 Easy to understand information outlining everything you need to get started with air drops. 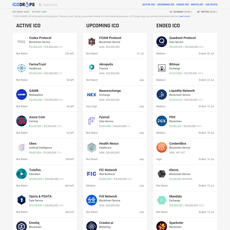 Team profiles listed directly on the site. Easy to use free service. 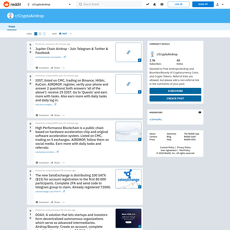 Doesn’t offer a way to organize airdrops or search based on specific parameters. It doesn’t look to be as expansive as some of the other air drop related websites I’ve visited have been.